Reduced to clear! 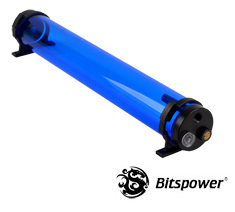 The Bitspower Water Tank Z-Multi 400 Ice Blue is made from a high-quality vivid blue acrylic with two POM tops and features a simple design with four G1/4 threads, making it easy to integrate into your existing watercooling loop. 60mm in diameter, 420mm in length.